LOS ANGELES—Raul Julia Levy of Julia Productions is the Hollywood producer behind this bold concept of a Reality Show on Whales in Captivity, and, to no surprise to many of his supporters, by all accounts Captivity is attracting several offers for advancement to screening, starting with a 4-episode series launch. Due to the controversial sensitive nature of the subject as a social issue, the preliminaries are being handled carefully through the Law Office of Brian G. Raymond in Los Angeles. Julia-Levy is conducting the project in business partnership with co-actor Richard Grieco. They are in the midst of negotiations and are looking forward to planning filming. Still yet to be finalized is an agreement for production with a significant U.S. network. To date, ?Julia-Levy and Grieco report they have received more than 1 offer. The executive producers say they have received interest from Relativity Media LCC one of the major players in the industry, in both November 2013 and, February 2014. Relativity produces avant-garde programming to TV. The strategy of soliciting offers from other companies is on-going. “We are looking to enhance visibility of whale captivity as a social issue worldwide” says Julia-Levy. Aquariums claim, as a fundamental motivation, that the captivity of orcas serves valid scientific and research purposes. A reality show that seeks to verify these claims is of enormous value and will examine nuances in the law and the complexities of the issues surrounding the captivity industry. One of the central issues is the size of the tanks where orcas live. Reports indicate that there are 54 known orcas in captivity worldwide but this number may not include the ‘soon to be born in captivity’ orcas. Current number of facilities with orcas in captivity is believed to be 13. There may be more. 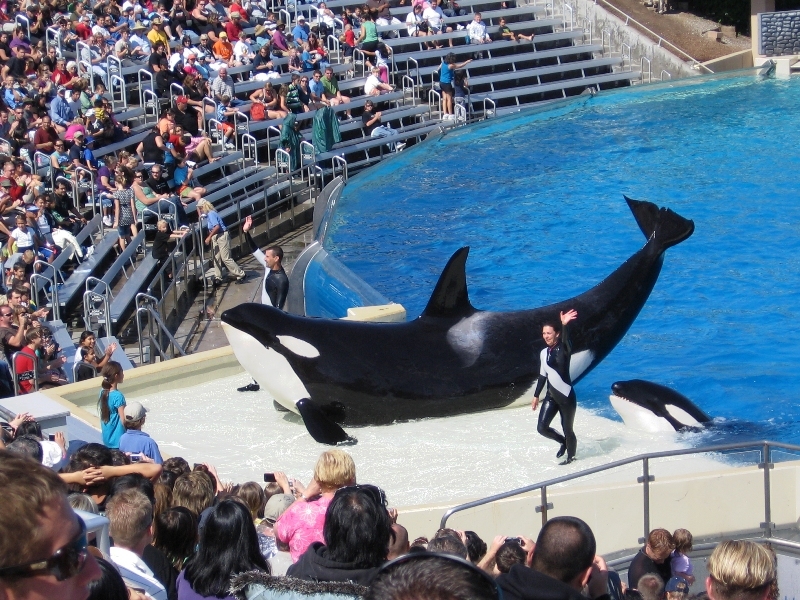 Captive orcas exist in in Argentina, China, Japan, and Russia. Note this is not to say [other] closely related cetacean mammals such as dolphins, or Beluga Whales (e.g. White Whale living at Vancouver Aquarium in Canada) don’t count and aren’t also a subject of concern. The three SeaWorld locations in California/Florida/Texas combined, have a total of 24 orcas. Miami Seaquarium has 1, and Marineland in Canada has 1. Julia-Levy and Grieco’s Captivity RealityTV series will focus on each of these American locations as well as as Loro Parque in Spain and Marineland in Antibes, Cote D’Azur in France. Freedom of information and freedom to gather information and photographs is what enables the series. With a team of experts already geared up, the project will team together prestigious marine biologists and researchers, in addition to learning from former trainers who have since joined the anti-captivity movement. With the help of social media, activists from Britain, Spain, Canada and the US as well as in Mexico and Argentina, are proliferating information with intensity and are watching developments.The cameras literally go in to record the raw truth about the conditions under which the orcas live. The series will attempt to demonstrate the need for the public to become more engaged in pushing for the release of captive cetaceans into whale sanctuaries as suggested by the acclaimed documentary Blackfish. For more information: Contact Diane Walsh, liaison Press at mediageode@gmail.com?. This could be just the voice these orcas need to help release them from captivity. We’ve posted about this – leave your messages of support at keepwhaleswild.org. Older Article: Who’s Funding the Competing Minimum Wage Initiative in San Diego?